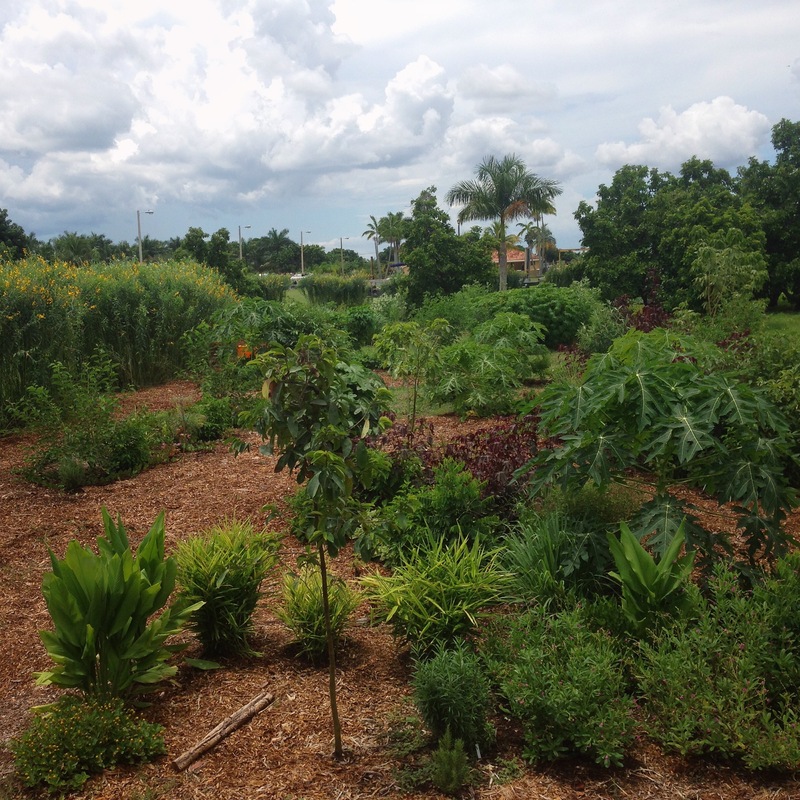 Food forests are a type of garden that includes variety of plants (mostly edible) of varying sizes and habits. Typically they are closer to nature in appearance than traditional edible gardens. Most of the plants are perennial (living multiple years) and don’t need to be replanted every year as you find in annual veggie/herb gardens. Also as food forests mature, the ground is more shaded so there is less weeding and less need for irrigation. 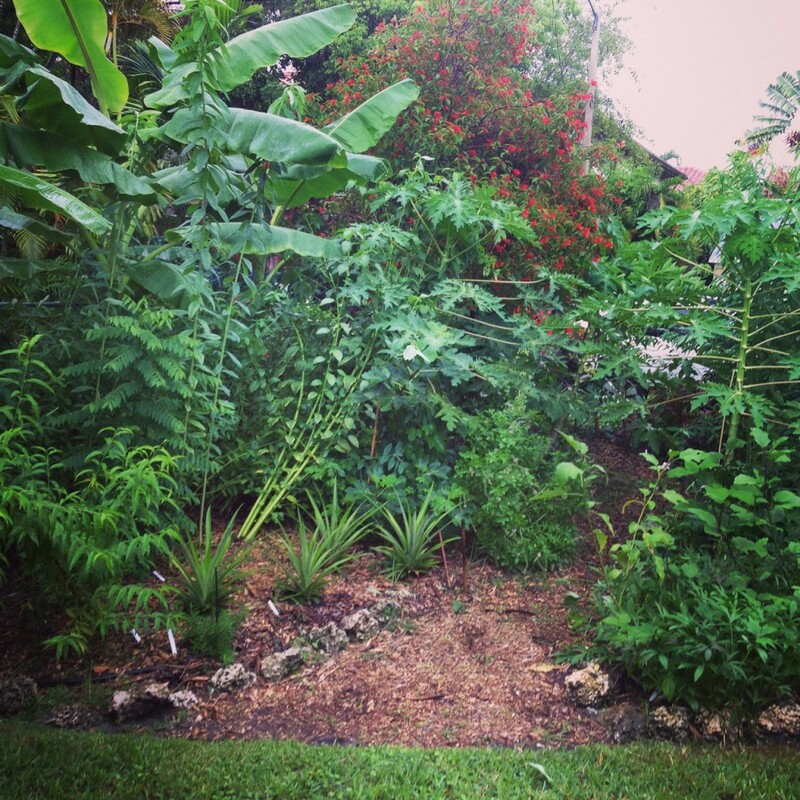 Like in nature, food forests have plants of many shapes and sizes. Big trees, small trees, bushes, climbing vines, and sprawling ground covers exist in food forests. While the majority of plants are edible, there are also plants that are edible to insects and other wildlife as well as plants that feed add fertility to the soil such as nitrogen fixers. 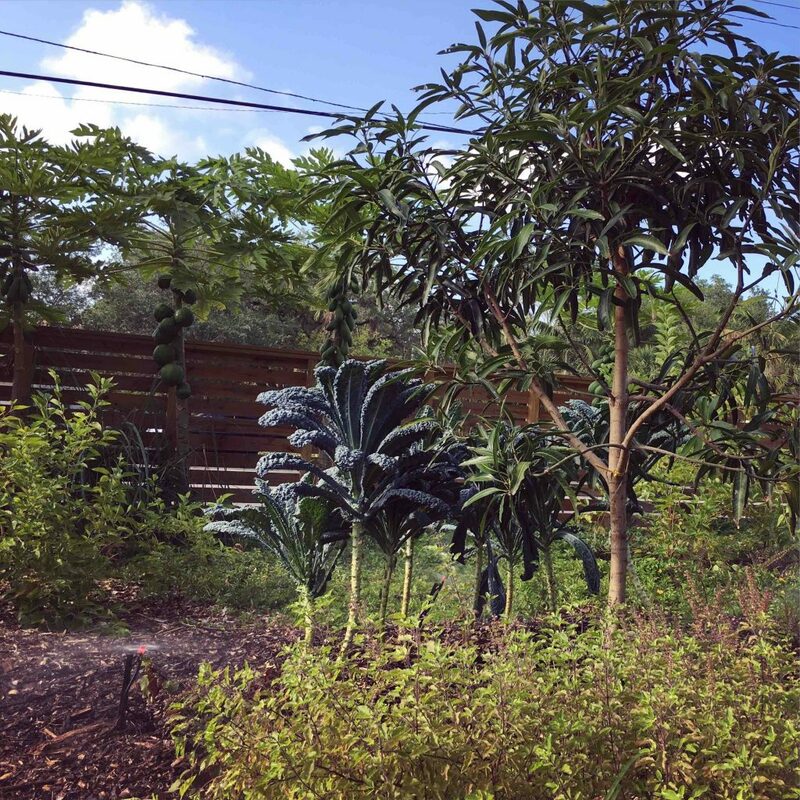 For those of you that are interested in starting your own food forest in South Florida, I recommend becoming familiar with different tropical fruits that will thrive in our climate. Some suggestions are banana, papaya, passion fruit, mango, avocado, star fruit, guava and mulberry but there are many others which we have listed on our edible plants page. Citrus are prone to citrus greening, so we don’t recommend planting citrus. We have food forest packages of different sizes to choose from, as seen below. 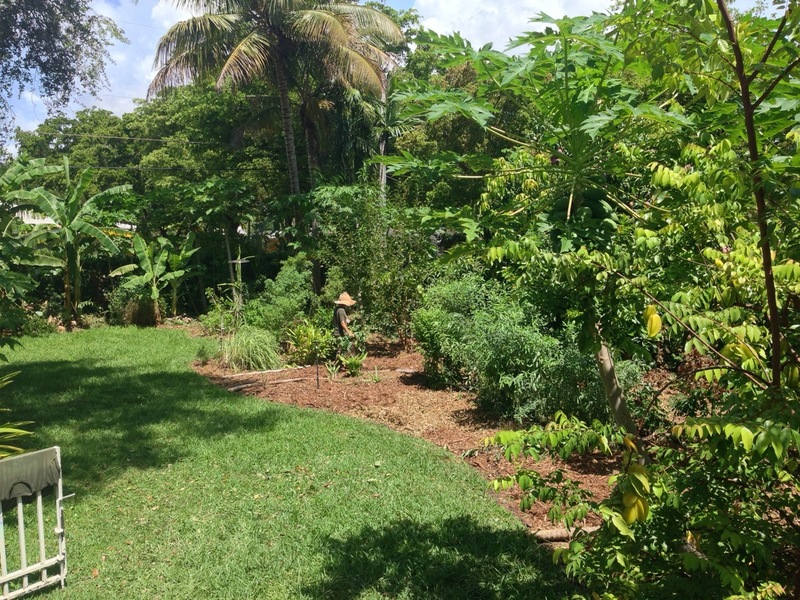 Besides fruiting plants, these packages include additional plants (edible, native, ground covers and/or pineapple), and a sweet potato or yuca area. Most fruit trees in the packages below will be planted as smaller trees in 3 gal pots but we can switch them for larger trees (7-25 gal) at an additional cost. 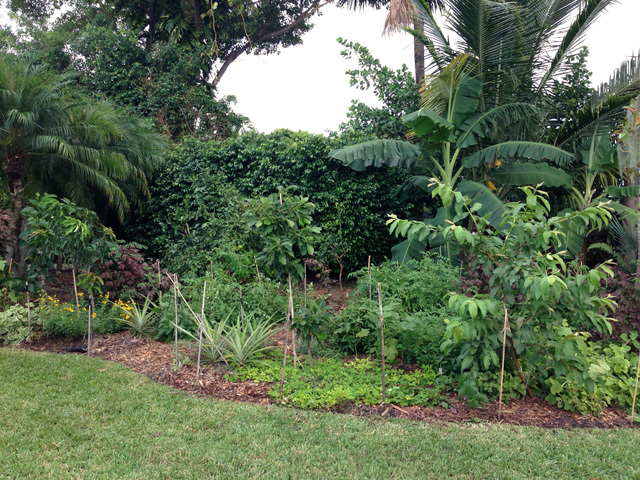 2 papaya, 1 banana, 10 additional plants (edible, native, ground covers, and/or pineapple). Planting includes 1/2 cubic yard of compost, 3/4 cubic yd of mulch and organic fertilizer. 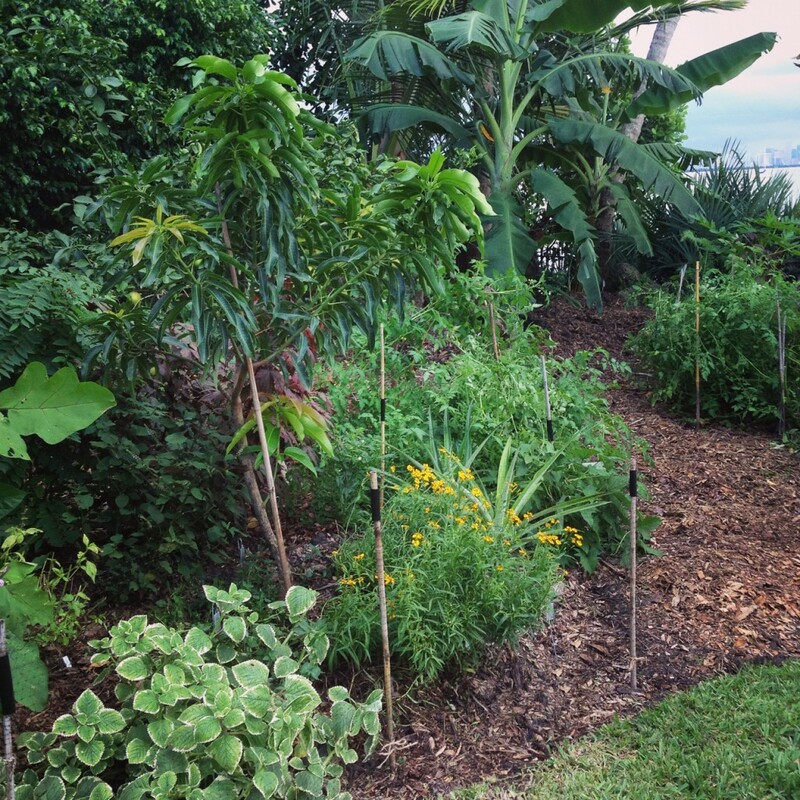 2 tropical fruit trees, 2 papaya, 1 banana, sweet potato or yuca area, 15 additional plants (edible, native, ground covers, and/or pineapple). Planting includes 3/4 cubic yard of compost, 1 cubic yards of mulch, and organic fertilizer. 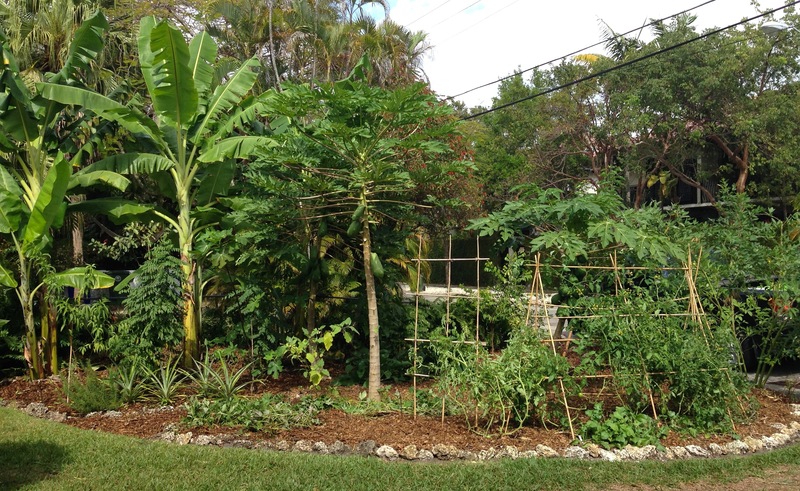 4 tropical fruit trees, 3 papaya, 2 banana, sweet potato or yuca area, 30 additional plants (edible, native, ground covers, and/or pineapple). 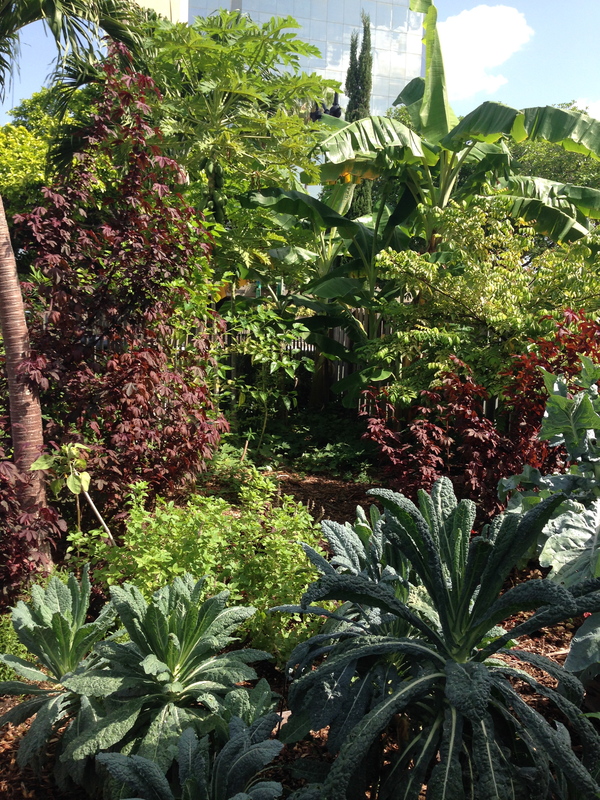 Planting includes 1.5 cubic yards of compost, 2 cubic yards of mulch, and organic fertilizer. 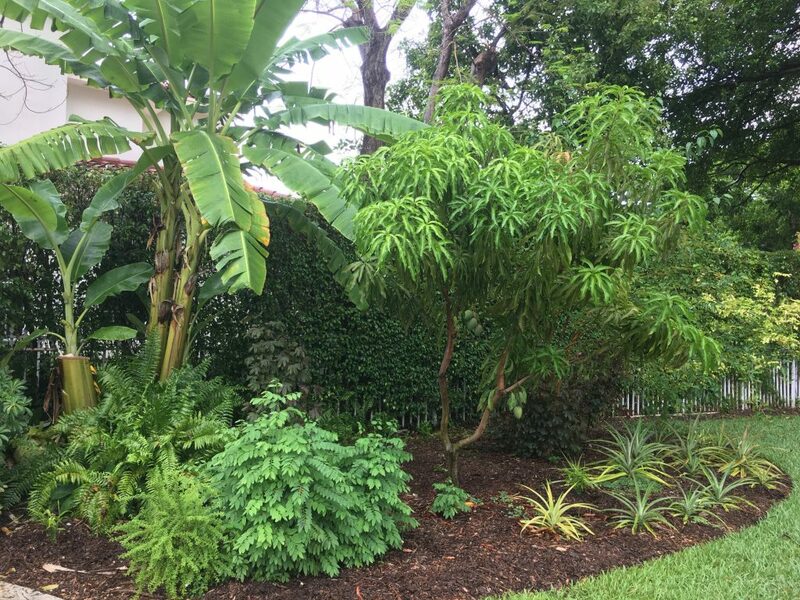 6 tropical fruit trees, 4 papaya, 3 banana, sweet potato or yuca area, 45 additional plants perennial plants (edible, native, ground covers, and/or pineapple). 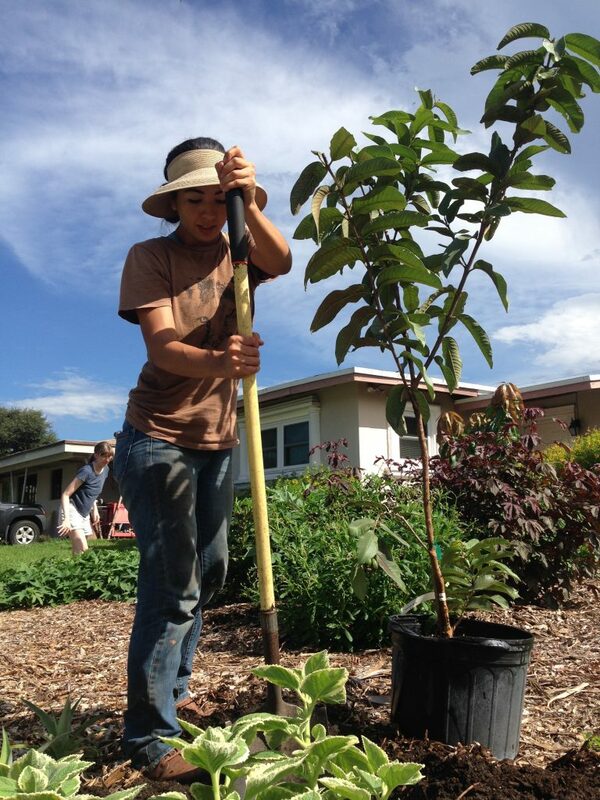 Planting includes 2 cubic yards of compost, 3 cubic yards of mulch, and organic fertilizer.